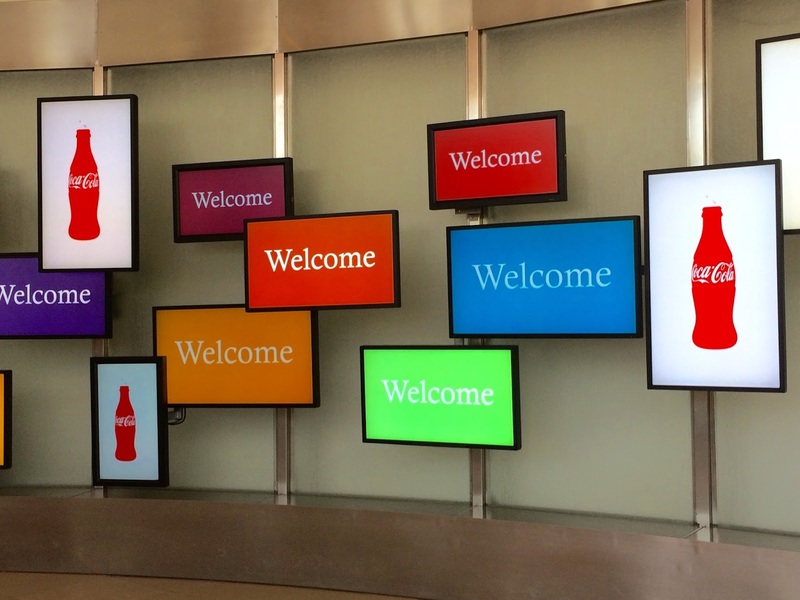 With Coca-Cola headquarters in Atlanta, there is a lot of love for Coke down south. 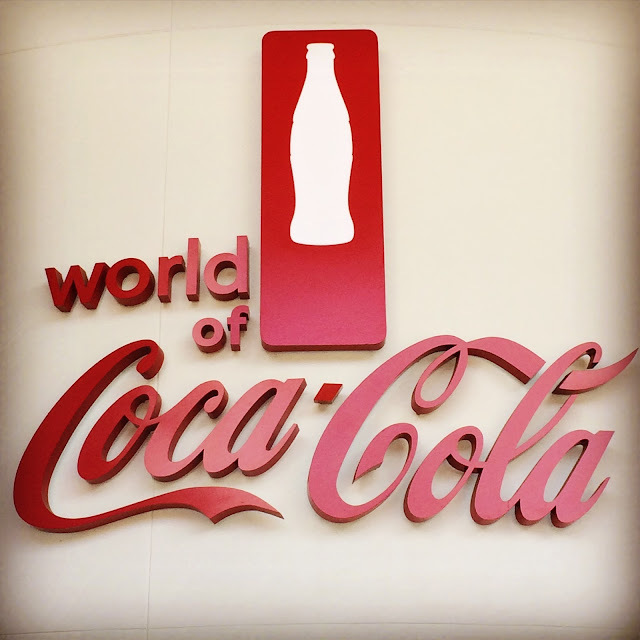 Visiting the World of Coca-Cola is something I remember doing in the summer as little girl and Little Mama had been asking for a while to go, so I put it on our Summer Bucket List. Yesterday was the day! The kids and I, along with some of our really great friends, made our way out of suburbia and right downtown to visit the World of Coca-Cola. 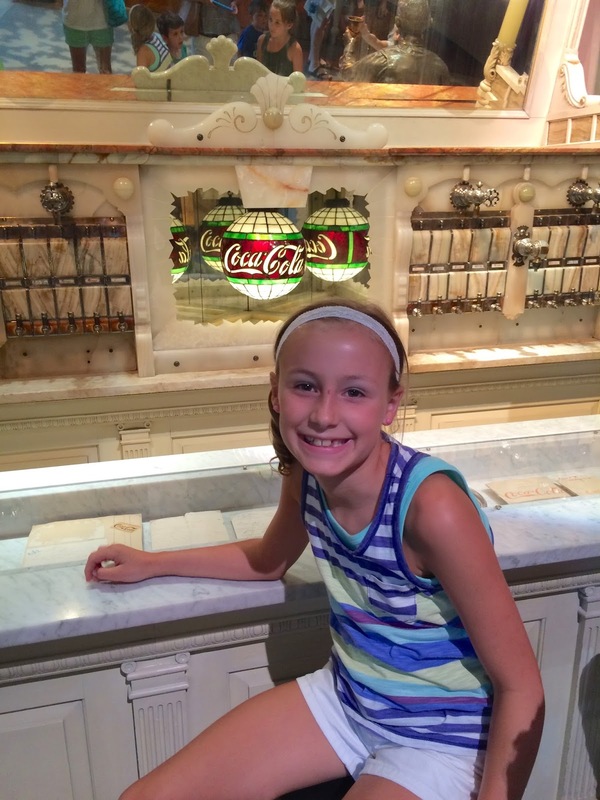 Blondie kept asking when we were going to be at Coke Land, which I just thought was the cutest thing ever. It's about more than just a drink. It's about uplifting refreshment, fun and happiness. It's about how a recipe from Atlanta turned into the most recognized brand in the world. It's about a common link between cultures and countries, people and places. As our tour began the host did a survey to see where everyone was from and there were people there visiting from all over the country and all over the world! The World of Coke is two levels and split into 12 different exhibits. 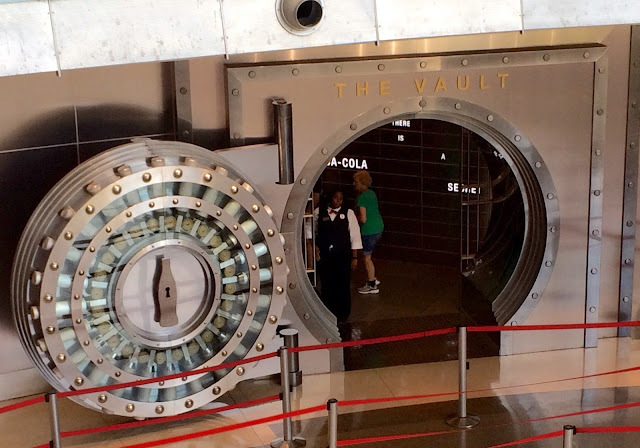 You will do everything from learning about the heritage of Coca-Cola, visiting the vault where the secret formula for Coke is secured, and even sampling more than 100 different beverages from all over the world in the Taste It room. 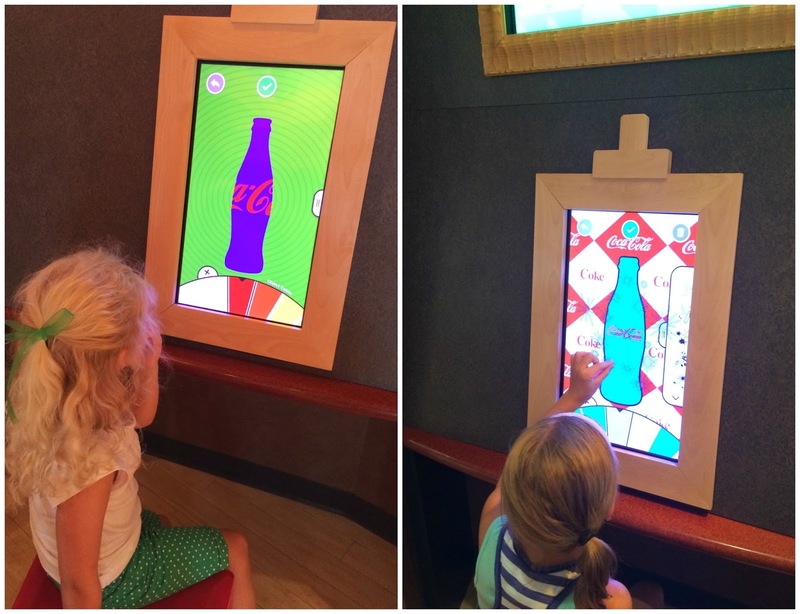 I found the World of Coke to be very informative, engaging and interactive. Little Mama and her friend got the most out of it, but Blondie's age group was still really involved and even my little Boo-Boo was entertained the entire time, even though he might not understand all that he was seeing. 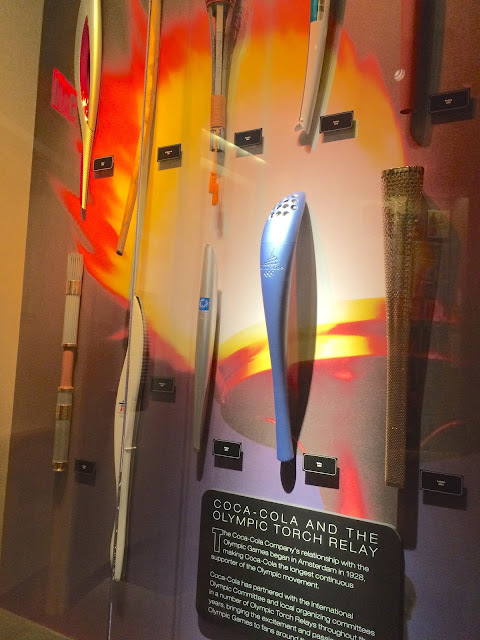 In the Pop Culture Gallery we saw how fans have made the brand an icon of pop culture. 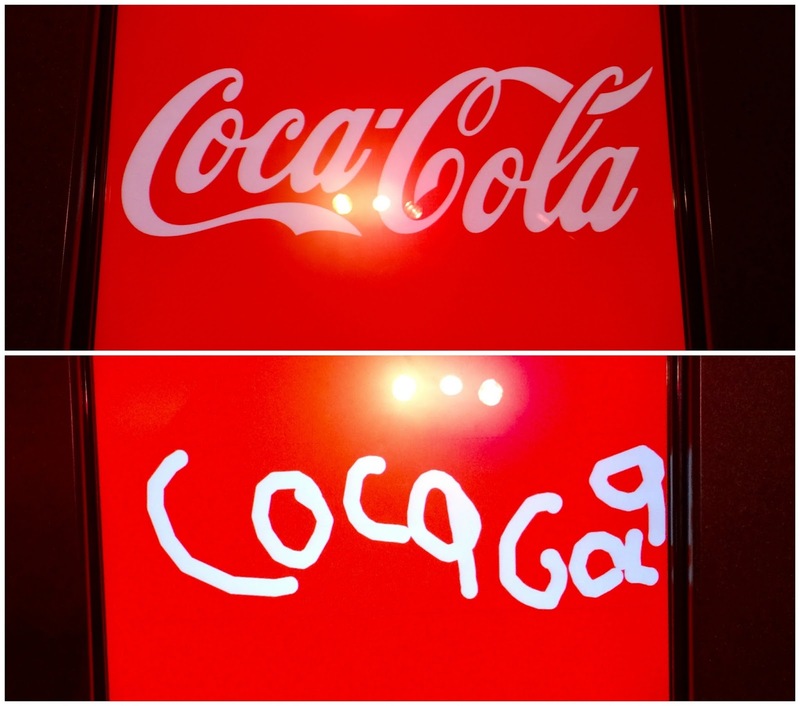 The kids got to sit on the American Idol couch and also got to design their own Coke bottle art masterpieces on a touchscreen canvas. 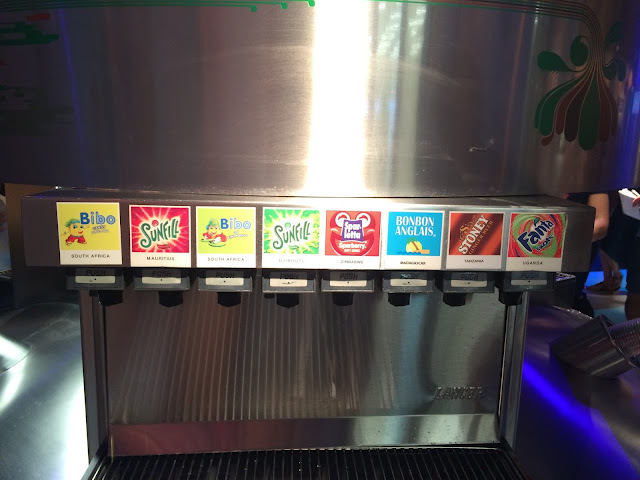 In the Milestones of Refreshment area we walked through history to learn how the drink was born, how the brand was created. There we learned that the iconic Coca-Cola script was created by a gentleman that hand wrote it and the kids got a chance to try to copy it on their own touchscreen. We also got to see what an authentic soda fountain would have looked like "in the olden days" as my kids like to say. We also learned how Coca-Cola and the Olympics, as well as other major sporting events, go hand-in-hand. The kids even got to hold a real Olympic Torch! 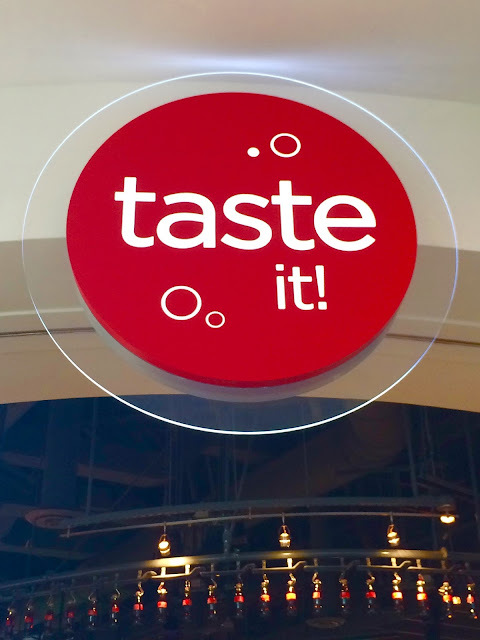 We wrapped up our day with an amazing 4D movie before heading to the Taste It room to get our fill of sodas from all over the world! 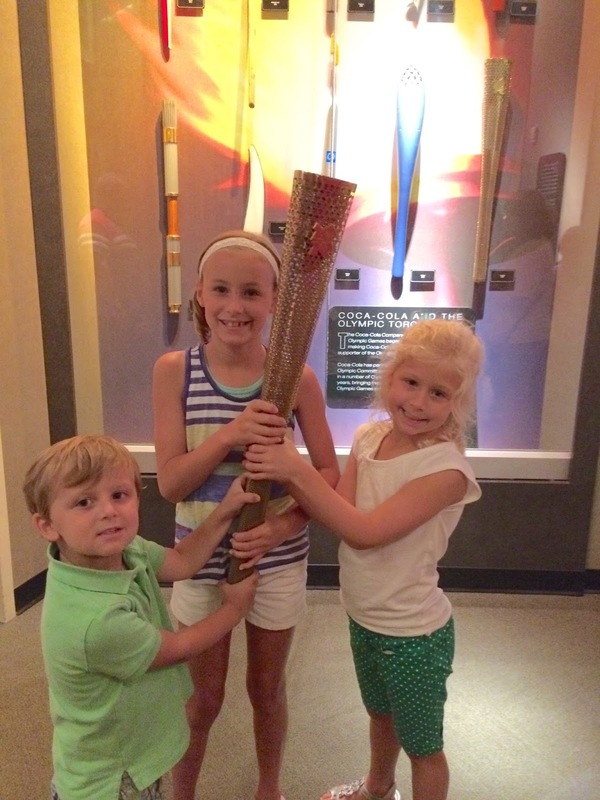 The kids had the most amazing time today and we really all loved it! Sometimes it is fun to be a tourist in your own city. 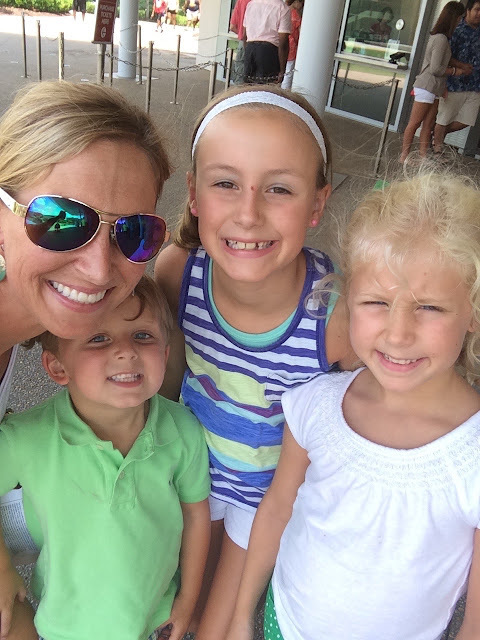 Atlanta has so much to offer and because of busy schedules we often don't take advantage of it all. 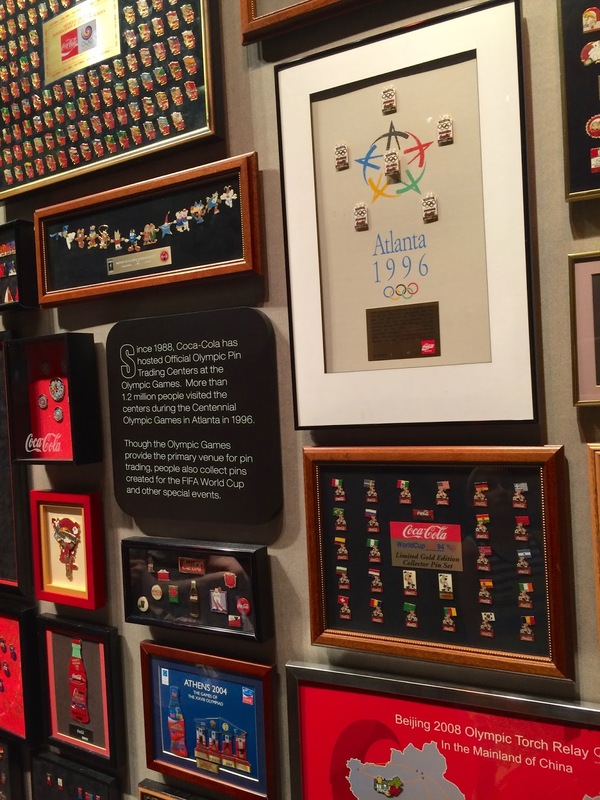 If anyone is thinking about going to the World of Coca-Cola, do it! We had a blast! -We went after lunchtime. While it never seemed too crowded, I have a feeling that getting there first thing in the morning would be even better as far as crowds are concerned. -You can bring a stroller although we opted not to because we know our youngest ones would want to be out and enjoying all that the World of Coke had to offer. -We spent about 2 1/2 hours making our way through all of the exhibits. We stopped and read a lot of the information, but not nearly all that was there. You could easily spend ALL day there taking in all the history. 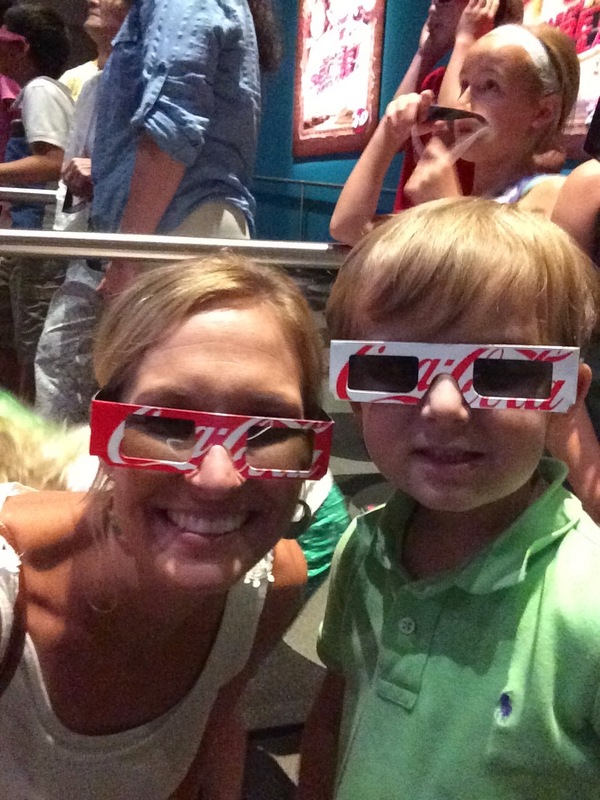 -I think kids 5 and up would enjoy it most, but my 3 year old still had lots of fun. 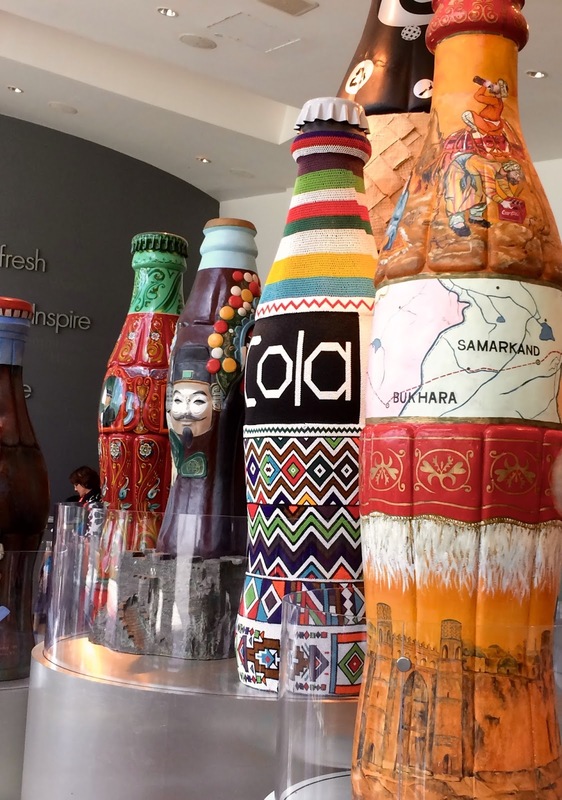 -There is a parking deck right across the lawn in front of the World of Coca-Cola and it was a very short and safe walk with the kids. No need to worry about walking down busy downtown streets because you exited the parking deck right onto the lawn and followed sidewalks to the entrance.